About the Keraj Company – Keraj Constructions Inc. Whether you are looking for a large scale commercial or residential project, or simply adding character to a single room in your home. We are experts in high-quality construction projects. We have many classic designs for you to choose from, we also offer custom designs to suit your individual needs. 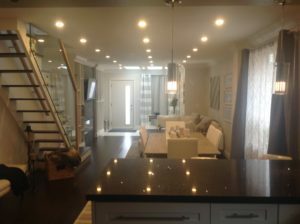 Keraj Constructions Inc. is a family-owned business with experience in residential and commercial construction, renovations and additions. From our modest beginning as specialists in high quality crown molding designs, manufacturing and installation all of which were done by hand. We have grown to become a full-package construction company. Through our commitment to quality and honesty our business has been growing rapidly. We are more than builders. We are construction partners who are dedicated to achieving quality workmanship and client satisfaction. We take pride in our work and it shows. We love to build!